There are 9 styles to choose from, but this guide makes it simple. The quickest way to determine the best shape for you is to mimic the shape of your cuticles. 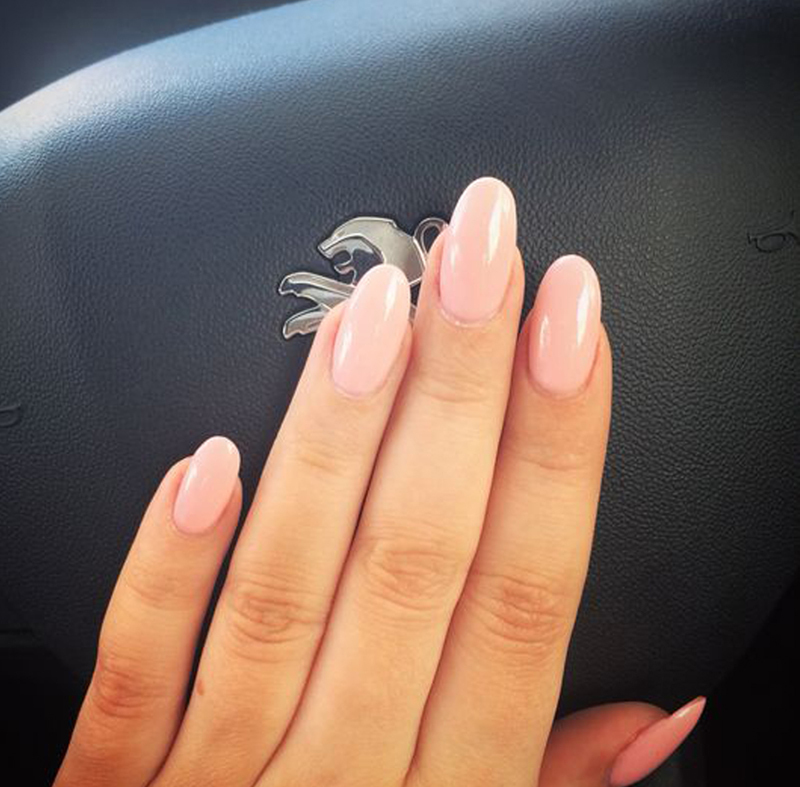 Most people request short, rounded square nails at the salon, according to our expert. Heading to the nail salon is always a treat, but with so many shaping options, it can be a little overwhelming to choose. Should you do almond? Try square? Squoval? We asked pros what you all goes into your perfect manicure. What nail shape is best for your hands? Check your cuticles, says celebrity manicurist Fleury Rose. If you have an oval cuticle shape, she recommends matching it with an oval nail shape. As for what not to do? "Short and square is the hardest shape to wear, as it can make hands appear stumpy," says Rose. Which shape makes fingers look thinner? If you're concerned about having the appearance of "fat fingers," first of all, stop being so hard on yourself! But if you want less cheerleading, and more concrete advice here: Avoid short and square, as Rose advises above. Instead, go for a long, tapered shape, like almond or stiletto. A pointed style, while it is more dramatic, will also help elongate your fingers. What is the most popular nail shape? Rose says most people opt for short, rounded square nails when they visit the salon. What's the strongest nail shape? Nails cut as short as possible with a round edge are the best choice if you want stronger, healthier nails, Dr. Ava Shamban, author of Heal Your Skin, previously told GoodHousekeeping.com. This simple shape is perfect for short nails (even nail biters! ), extending only slightly past your nail bed and maintaining its natural shape. But if some of the lengthier styles below appeal to you, try a formula like Sally Hansen NailGrowth Miracle (amazon.com) to work your way toward stronger, longer nails. If you want a shape other than your natural rounded one that doesn't take a ton of effort to maintain, ask your manicurist for a square shape with the tip filed flat. You don't need much of an edge to achieve it, so it's great for shorter nails. This version of square nails is a little less intense than its more angular counterpart, but it still looks put-together and is a great canvas for simple nail art. If you have longer nails and desire a slimmer, more feminine look, try this shape. Oval nails also make your hands look longer, so if you want to slim the appearance of your fingers, this is a good way to go. As you might guess, this style combines the length of oval nails with the contouring of square nails. 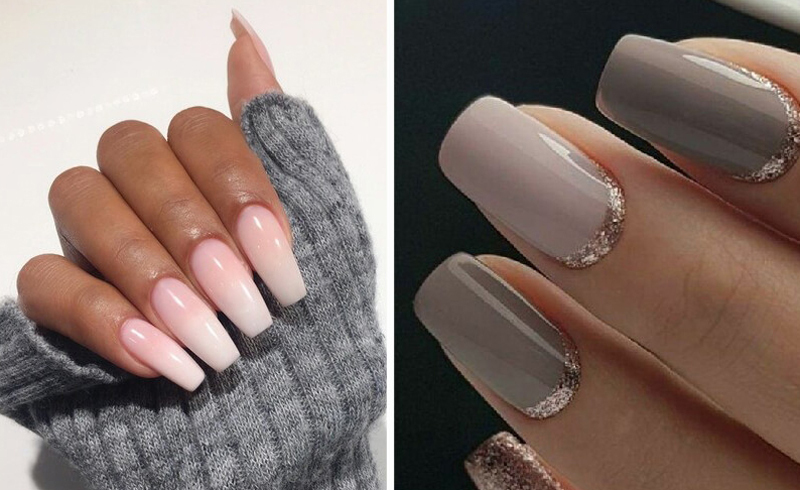 If you have naturally long, sturdy nails and have the urge to try something unconventional, ask for this shape — or you could always test it out with fake ones! Use the Gold Finger Gel Glam Ready-to-Wear Gel Manicure (amazon.com) for a trial run. If you want to take oval nails a step further, try almond nails. Narrow and ending at a rounded point, this shape elongates your hands and makes them look more slender. While impractical, this nail shape is undeniably cool. If you want to try it out, look for pointy press-on nails, like Ecbasket Stiletto Nails Acrylic Fake Nail Tips ($7, amazon.com). This funky shape has a niche fan base. It could be fun for a special event — we just hope you don't wear contacts!